The Countdown continues with choices 30 - 21. There are some gems here, but there are also a couple of question marks. I have to wait until all of the film have been revealed before I can give an honest critique. 30. Coming To America - -Eddie Murphy and Arsenio Hall were hilarious in this film, which starred such greats as James Earl Jones, Madge Sinclair, Calvin Lockhart, and John Amos to name a few. 29. 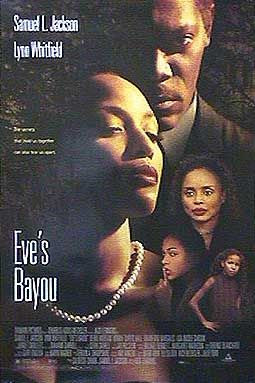 Eve’s Bayou – The marked the first major role of Jurnee Smollett, who has made the transition to adult roles, which is no small feat. Samuel Jackson, Lynn Whitfield, Debbie Morgan, and a young Meagan Good round out the cast. 28. Claudine – Diahann Carroll and James Earl Jones in defining roles as lovers trying to make a relationship work amidst social workers, poverty, and children. This film is noted for the soundtrack written and produced by Curtis Mayfield and performance masterfully by Gladys Knight and the Pips. 27. Purple Rain – A motorcycle riding character know only as “The Kid” play music at a local nightclub with his band. His nemesis is none other than Morris Day of The Tyme. 26. American Gangster – Denzel Washington portrays a ruthless, murderous drug lord in this modern day gangster film. The film earned Ruby Dee her first Oscar nod. 25. Carmen Jones – This film starred Harry Belafonte and Dorothy Dandridge as “Carmen Jones”. Ms. Dandridge had the distinction of being the first African American female nominated for a best actress Oscar. 23. Lean On Me – Morgan Freeman stars in this true story about a New Jersey High School principal. 22. Malcolm X – The Spike Lee produced version with Denzel Washington literally channeling the spirit of the great civil rights leader. 21. Soul Food – Funny, yet poignant story of sibling rivalry starring Vanessa L. Williams, Vivica Fox, and Nia Long. I LOVED LEAN ON ME. With the addition of Carmen Jones to Cabin in the Sky and Uptown Saturday Night, the list is comprised of films that were made in 1984 or later, so far. I'm gonna check again and see who is actually voting on these awards. And unlike Maribeth, I hated Lean on Me. Maribeth, I too liked "Lean On Me" as I am a huge fan of Morgan Freeman Jr.
x.dell, Good luck with finding out who actually voted for these films. I am not exactly pleased with the choices either. If you find out anything please let me know. Well this is a nice Blog on most important facts. I am happy to read this. I shall link from my blogs to this blog to day itself. We are running a matrimonial website which provides you free service to find apt and suitable soul mate for you to marry. You can register your profile under suitable category for free. You can search for suitable profiles and can contact them free. Since this is free. No obligations and risk from your end. Nothing to pay us if you register your profile now. This is a free matrimonial service now. All you have to do is logon to http://www.matrifind.com and register your profile there.